I'm fairly new at GIS know-how, but I've run into a problem with a projection of a world map. 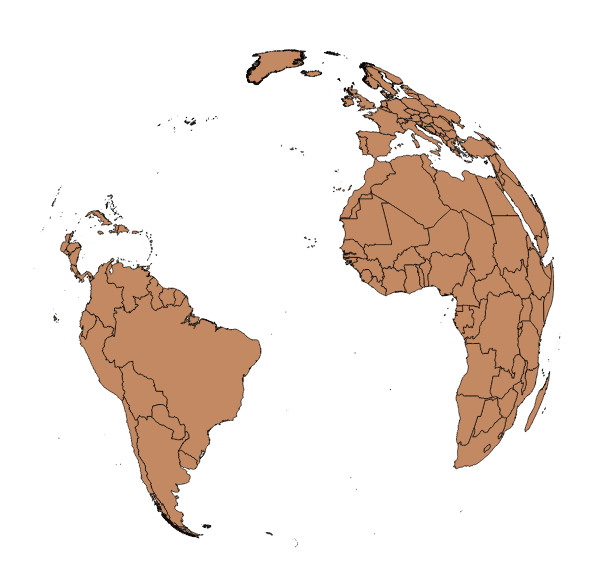 I have a shapefile of all countries I downloaded from Natural Earth. After projecting it into a orthographic as suggested in this other question, I changed the lat/long so that the Atlantic would be somewhat in the center. When I reproject the map to a long over the US, the polygons appear again. Any suggestions? 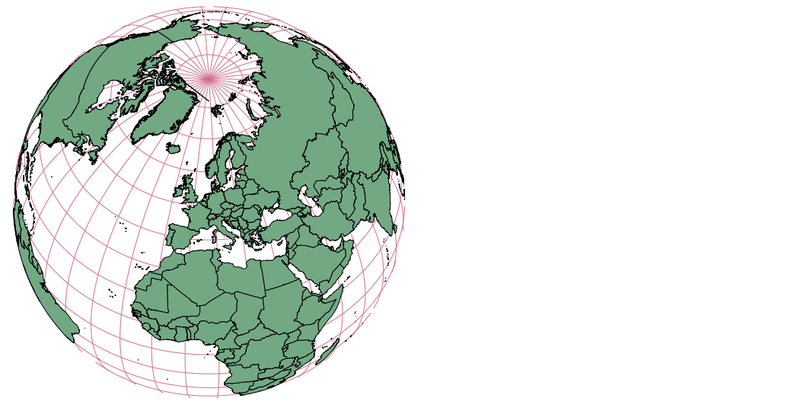 The simple reason why QGIS can not draw these polygons is because some of the vertices are on the backside of the globe, and QGIS can not draw a closed polygon with the rest. The GDAL ogr2ogr function in the background is programmed to kick off the whole feature when such an error occurs. You need Numerical Digitize and CAD Tools plugin for that. See comment above, they have simply gone to the other side of the globe. the polygons of the countries are still there but are not visible unless the globe is spun. i am not sure on how you rotate the globe in this circumatances and mapping is generally 2 dimensional (countours etc excluding). I would set your CRS to the country in which you want to overlay data. 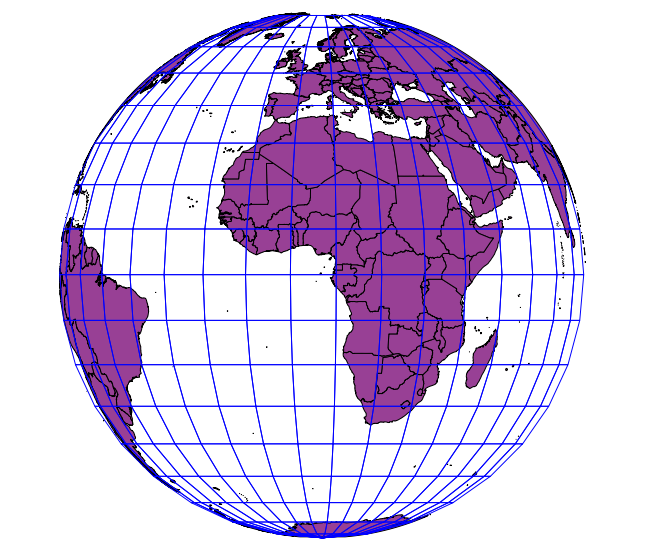 For instance i would use the Irish grid or OSGB grid, or as stated above the WGS84 Pseudo Mercator. Not the answer you're looking for? Browse other questions tagged qgis shapefile coordinate-system or ask your own question. 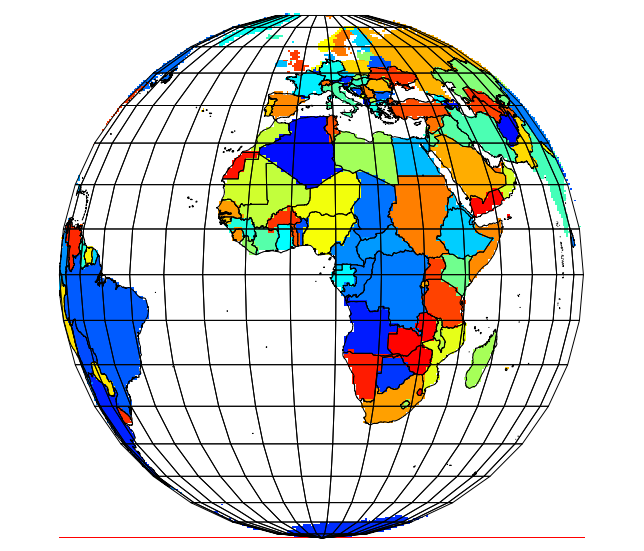 How do I project a Azimuthal Equidistant global map into a circle in QGIS? What is the right solution (and map projection) to compute distances between points located all over the World? Where did the edit UI tab go in QGIS 2.0?